Penney’s have long been known for their decent quality dupes of high-end brands and products such as Glossier blushes, Huda palettes, or KKW Beauty contour kits. However, the latest release is one which does not aim to copy, but instead rival, these brands. Penney’s have teamed up with Alex Steinherr, a beauty director from Glamour magazine, to create a core collection of 20 products to choose from. High-quality ingredients mixed with Penney’s prices seems like a dream, with the range spanning in price from €4 to €6. The entire range is fragrance-free, gentle, cruelty-free, vegan, phthalate free, sulfate free, paraben free, contains no essential oils and is totally customisable. There may be nothing this range cannot do. Steinherr has a long history as a beauty journalist, first working at Cosmopolitan for six years and has now spent a decade at Glamour. There are lip masks, eye creams, anti-blemish formulas, cleansers, micellar waters, overnight masks, and moisturisers, each as part of the five separate ranges. These ranges are Sleep Spa, Pore Balance, Maximum Moisture, Plump & Glow and Pollution Solution. The huge array of products and high quality yet simple ingredients seems to make a failure of this launch impossible, as there is something for everyone. Each product is formulated for specific reasons, with instructions on use, and simple elegant packaging. The price is simply the cherry on top, as well as the accessibility of the range in select Primark stores. Steinherr made a promotion video with Primark (Penneys) which goes through all of the products and ranges, uses and benefits of the products. “The whole range here is multipurpose,” Steinherr says in the video. 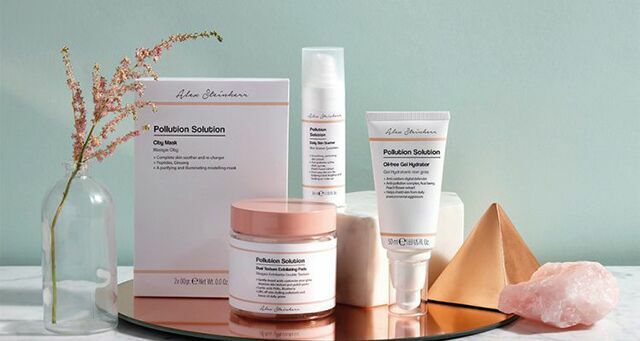 Previous skincare products available from Penneys were simply not as coherent and focused as this latest release, which far outdoes the past mix of an attempt at a signature beauty range which extended into Korean-beauty inspired masks and treatments, and some one-off pollution protection or skincare ranges, among others which have come and gone. The fact that Primark is CFI certified, making it officially cruelty-free, is a huge step for Primark as it is an extremely expensive and difficult process. Even more exciting is that there are still products to be added to the collection in the coming months, adding even more thrill to what is already the most positive beauty news this year.